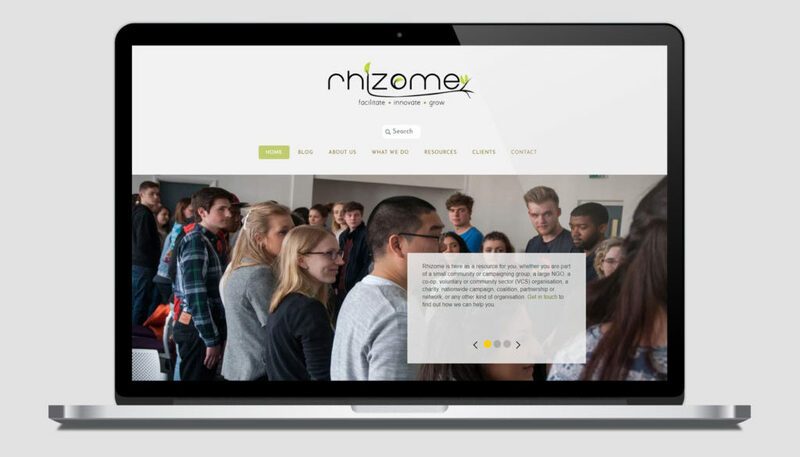 We worked with Rhizome to create a new brand identity and fantastic new website to help them provide facilitation, training and organisational development to NGOs and co‑operatives across the UK. Rhizome works with activists and campaigners, community groups, and to those organisations that support activism in all its forms. Rhizome brings together the skills and experience of a co-operative of professional facilitators, trainers, community builders, and mediators for your benefit. Founded in 2010, they have members in various locations around the UK, from the south west of England to the north east of Scotland.